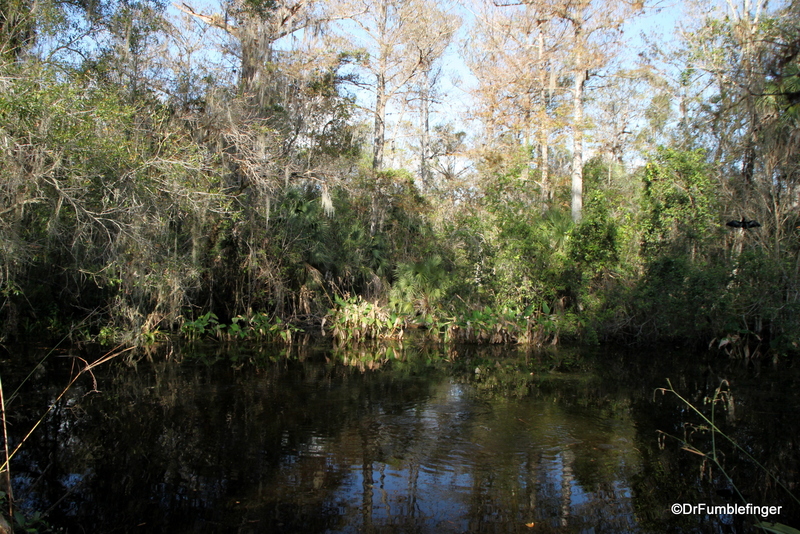 The Everglades is a fascinating and unique place — a broad shallow river slowly moving to the sea and covering a large portion of southwestern Florida in a thin layer of water. 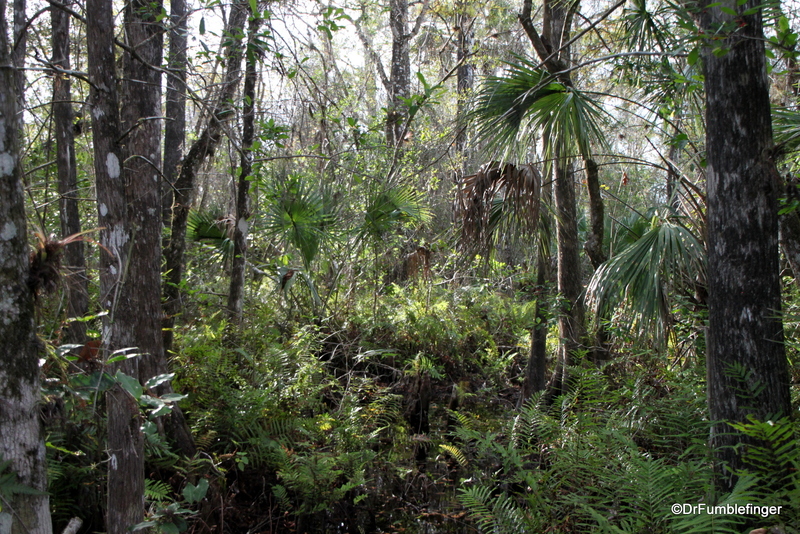 Mostly the Everglades is characterized by its “River of Grass”, endless acres of saw-grass (run your finger along it’s edge and you’ll see how it got its name). 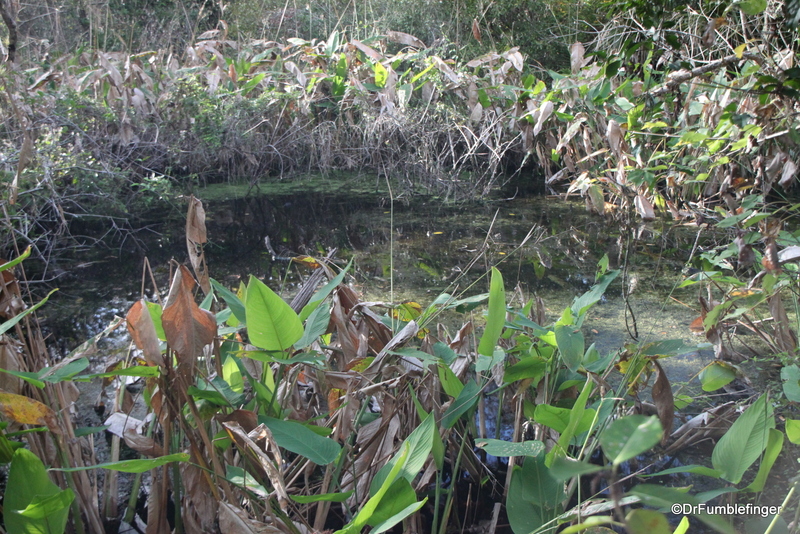 I’ll be writing about my visit to Shark Valley in Everglades National Park soon, Shark Valley being representative of this “River of Grass” ecosystem. 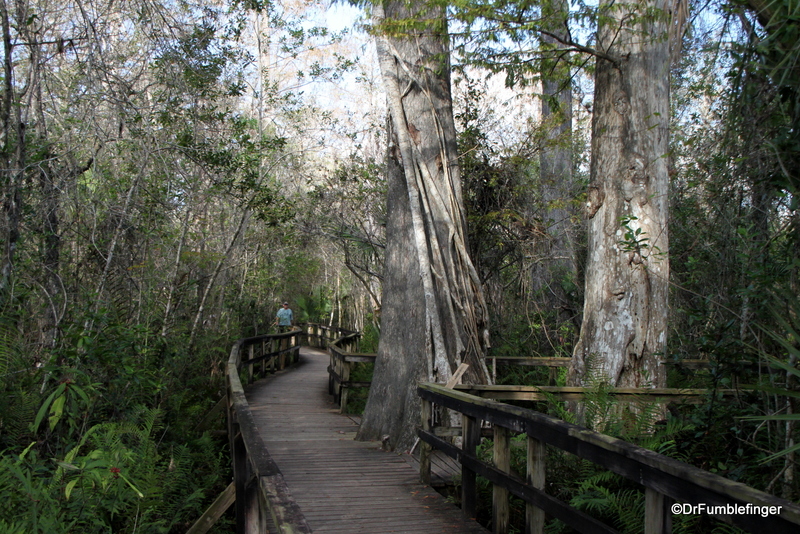 The mangroves are another face of the Everglades found along the coast, where fresh and salt water mingle, and we’ll also be discussing Everglades City which is in this region in a future post. 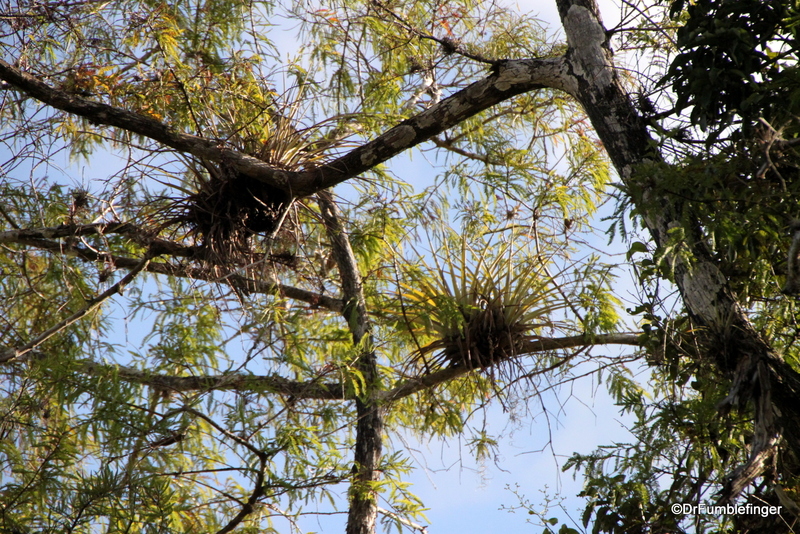 Today I’d like to share a little about the Everglades’ forests. 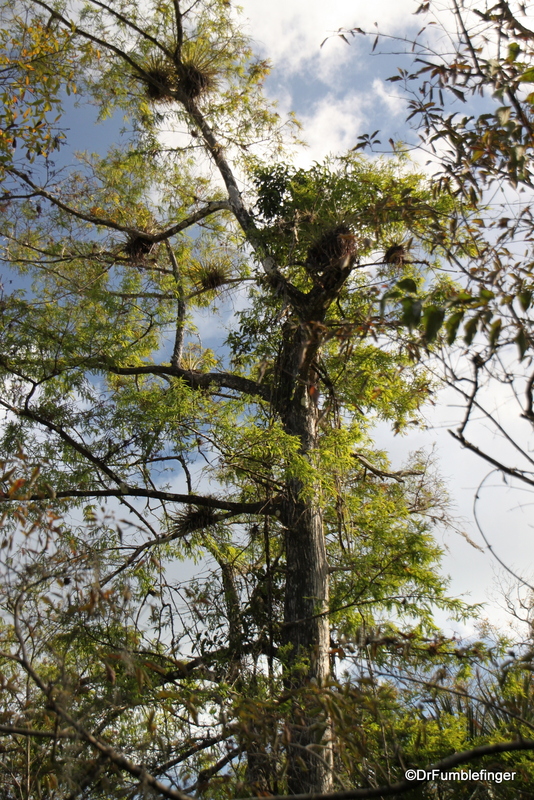 There are significant stands of trees in some areas, the largest of these being bald cypress trees. 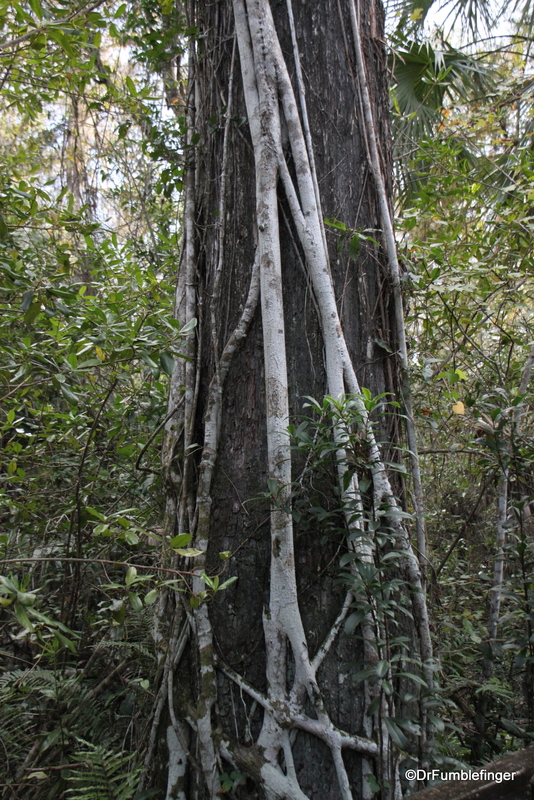 You’ll see these trees in the Big Cypress National Preserve and in some of the Everglades state parks, like Fakahatchee Strand. 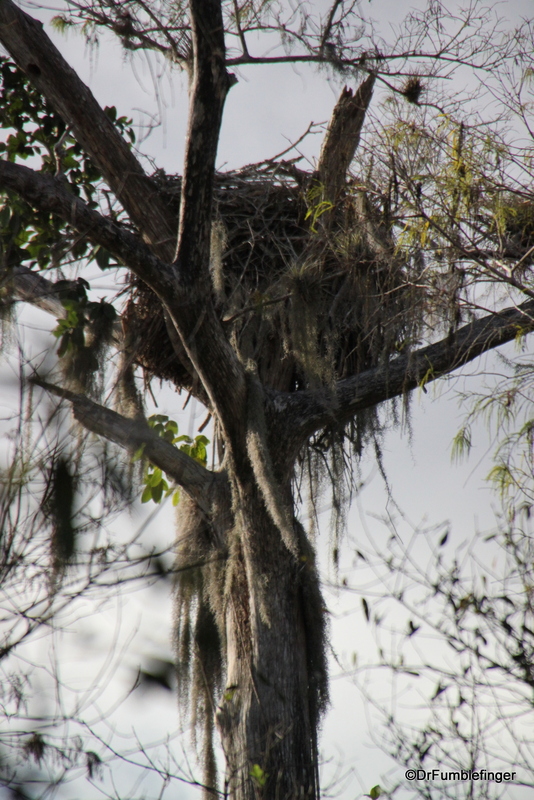 The Everglades’ trees obviously must be able to survive in a wet environment, although some are found only on slightly elevated pieces of land (flat islands). 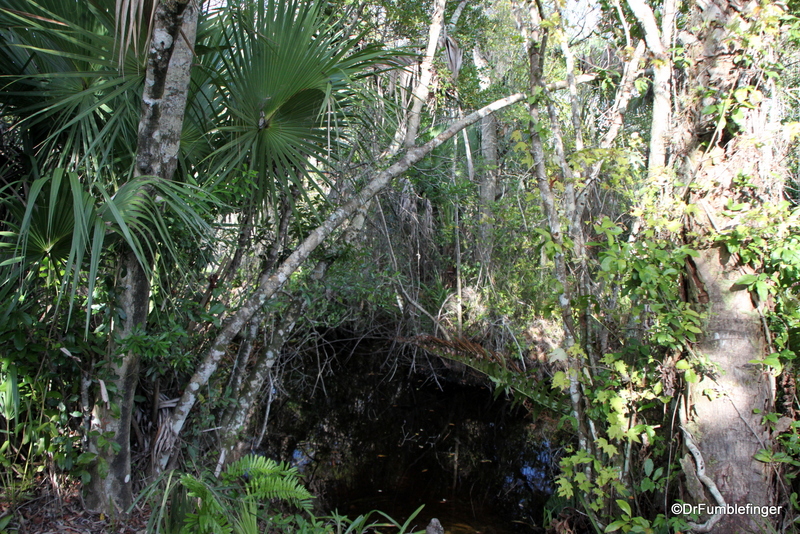 Water slowly drains through these forests out to the coastal mangroves and beyond to the 10,000 islands in the Gulf of Mexico, but some of the water evaporates and some enters the underground water table through the porous limestone underneath the forest. 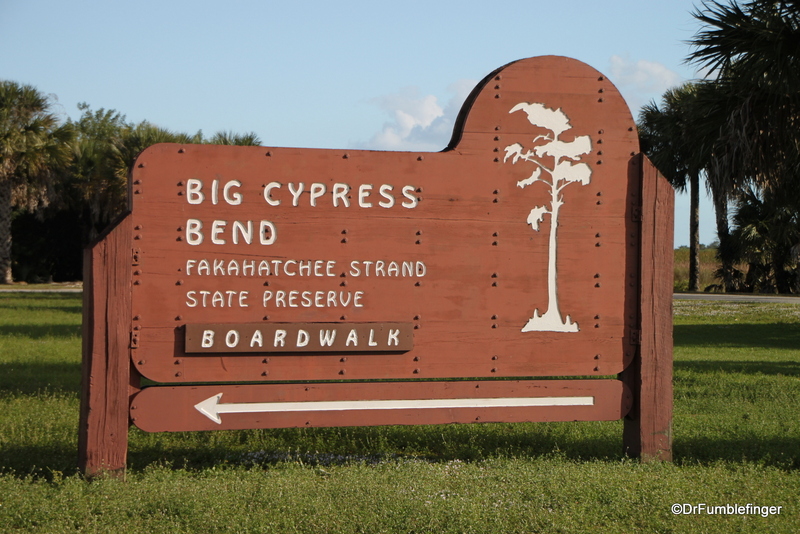 The area around Big Cypress has not been heavily timbered so you’ll find it in fairly pristine condition. 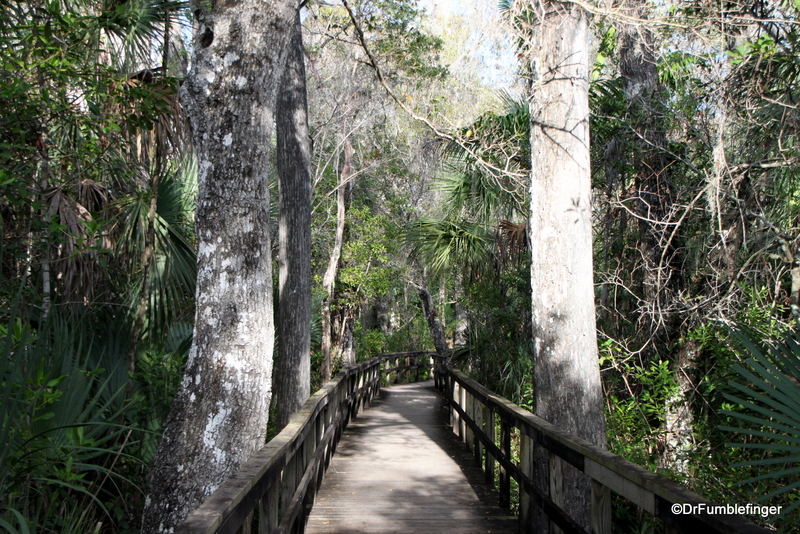 Fakahatchee Strand Preserve State Park has an elevated boardwalk that takes you into the heart of the largest bald cypress/royal palm swamp forest anywhere. 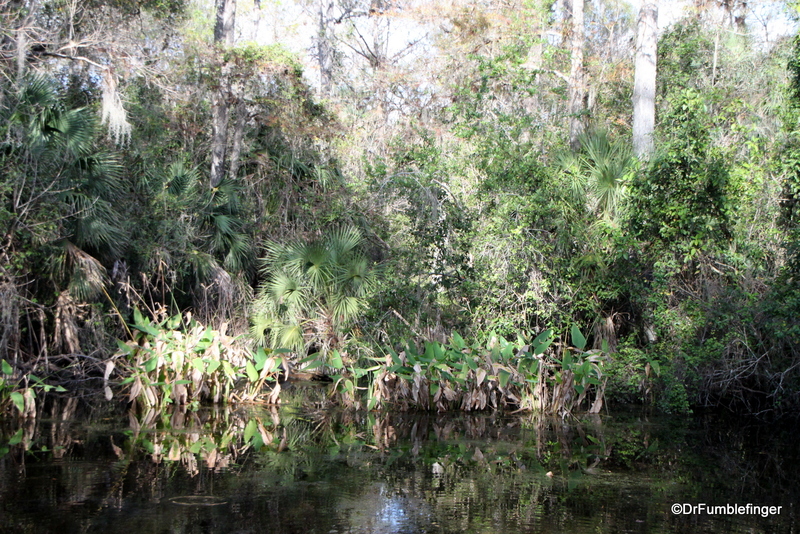 Situated just off highway 41 (also known as the Tamiami Trail, which bisects the Everglades and connects East Florida with West Florida), this hike is very easily accessed and not in any way strenuous. 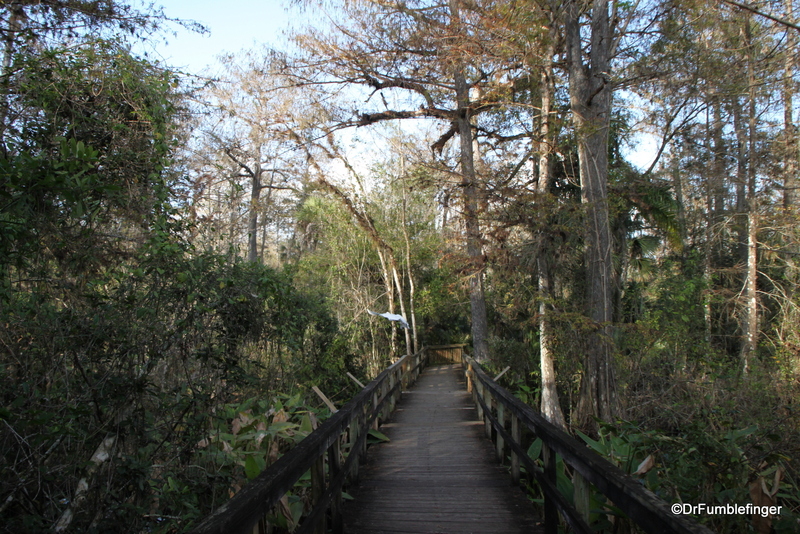 The boardwalk is well constructed and allows you to walk on a level surface above the flooded land, offering you a dry way to experience the slough. 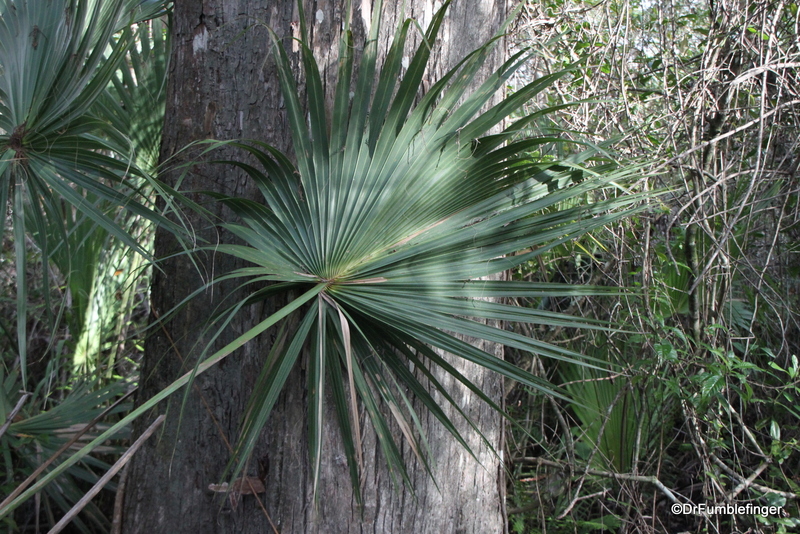 You’ll often be walking in the shade of bald cypress (many of them hundreds of years old), with admixed palm trees (royal and sable), pop ash and pond apple. 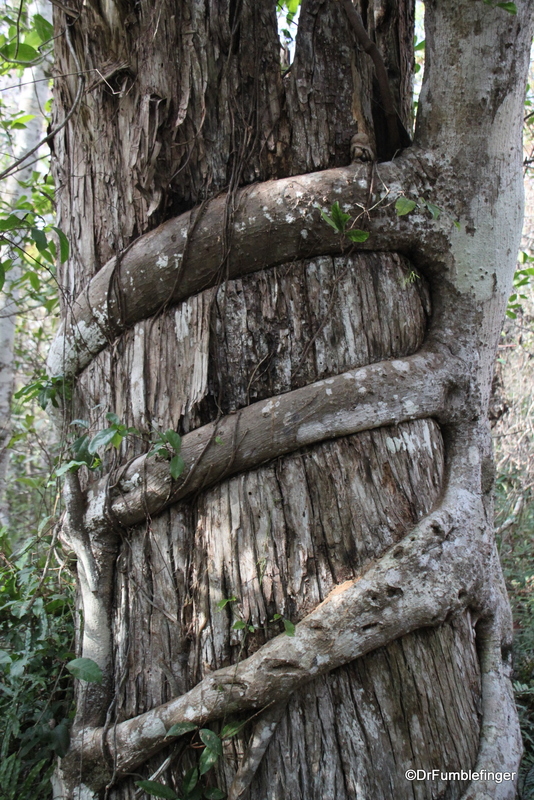 Parasitic strangler figs are commonly found and kill many of the old cypress trees. 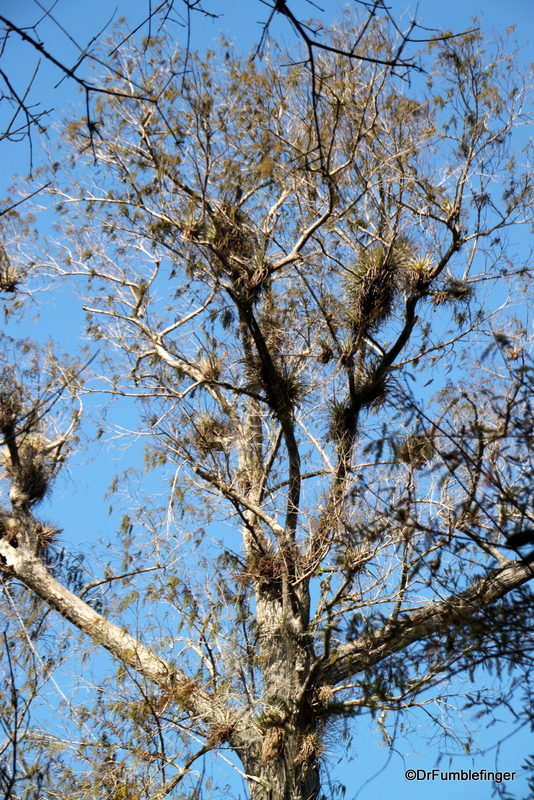 There are innumerable epiphytes (dozens of species of air plants like bromeliads and orchids) growing on the trees, and a thick growth of ferns often covers the floor of the slough. 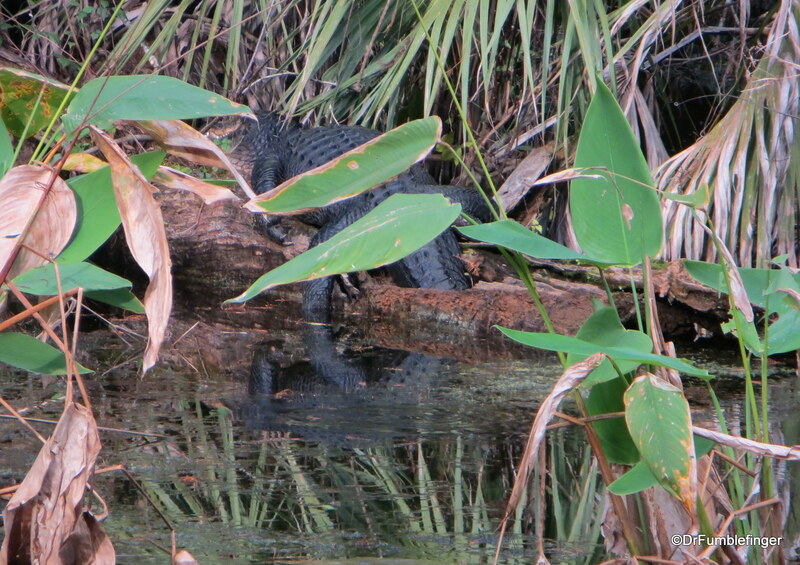 The hike ends in a lovely pond where you’ll usually find many wading birds and likely at least one alligator sunning him/herself. 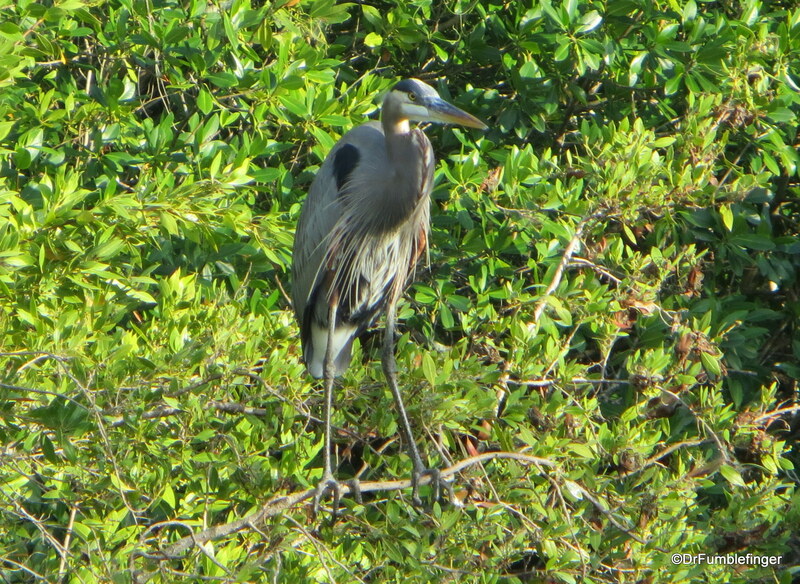 This pond a great place to stop and watch for awhile to better appreciate how much there is to enjoy here. 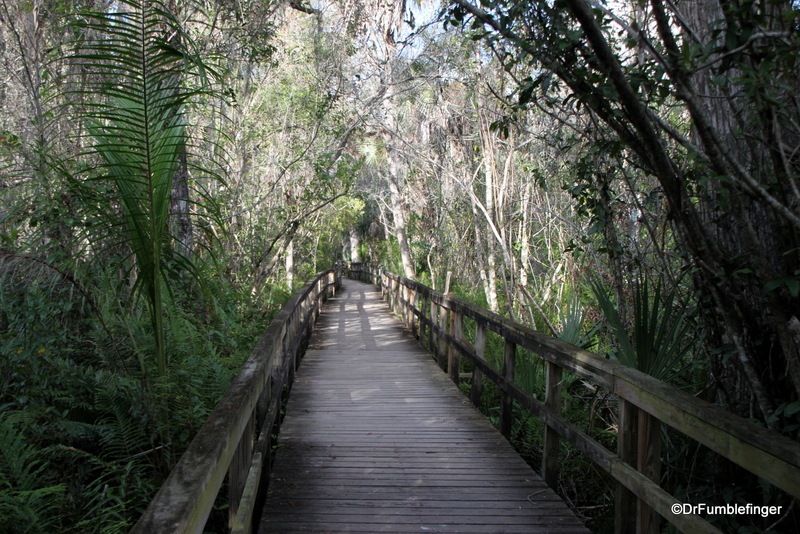 The trail is not long, just over a half mile each way, but beautiful and with many interpretive signs to help you understand the plants and the ecosystem you are visiting. 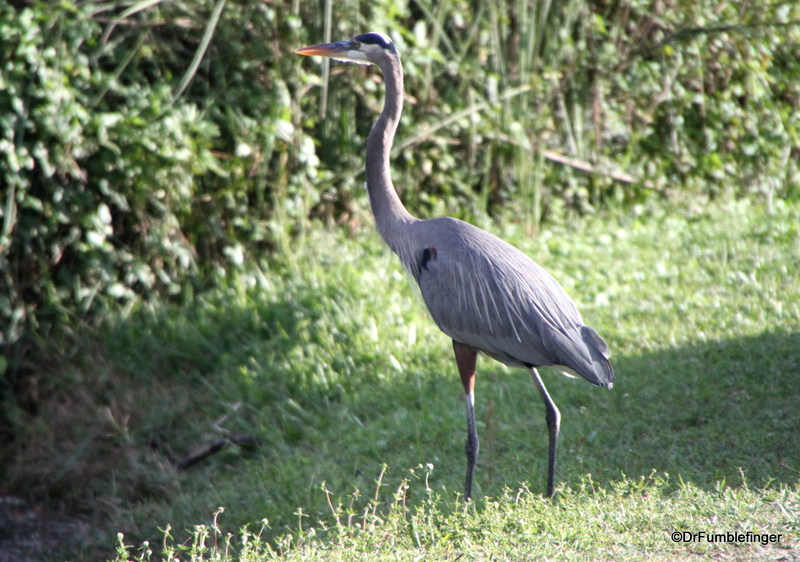 There are many birds of all types, from song birds to diving and wading birds, so bring your binoculars and field guide. 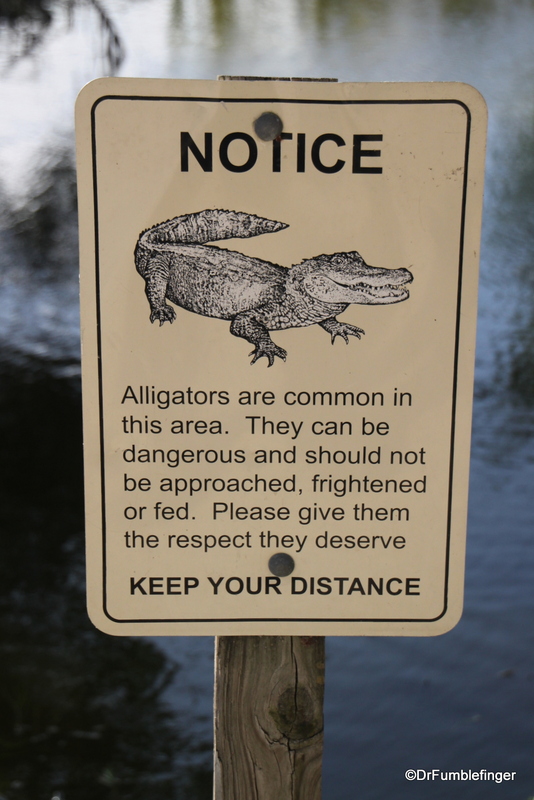 There are other animals around, like Florida panthers, white-tailed deer, snakes and Florida black bears although you’re not likely to see them. 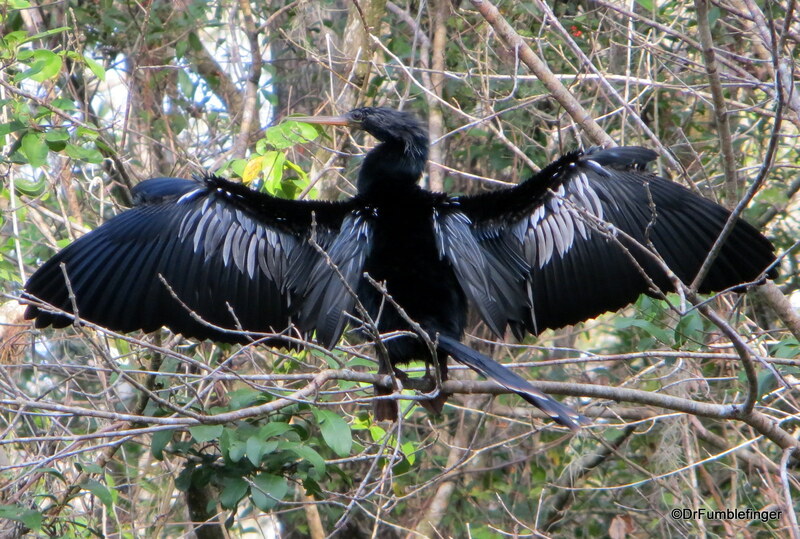 This environment is notoriously buggy (especially with mosquitoes) and humid, but it was perfect when I visited in December. 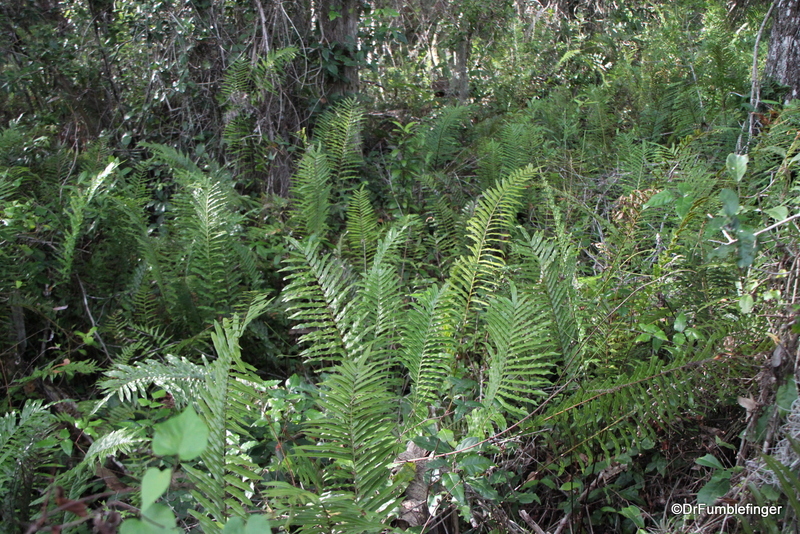 Pleasant warm temperatures with no mosquitoes and little humidity. 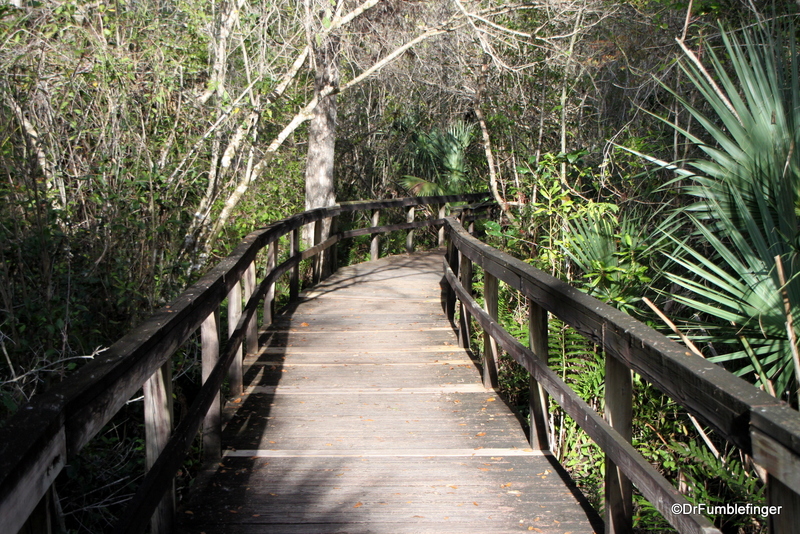 A lovely stroll on a perfect day, one I’ll long remember!